Supporting oral arguments with a clear, easy-to-understand timeline visual increases the juror retention rate of information, further strengthening a lawyer’s case with jurors or mediators. 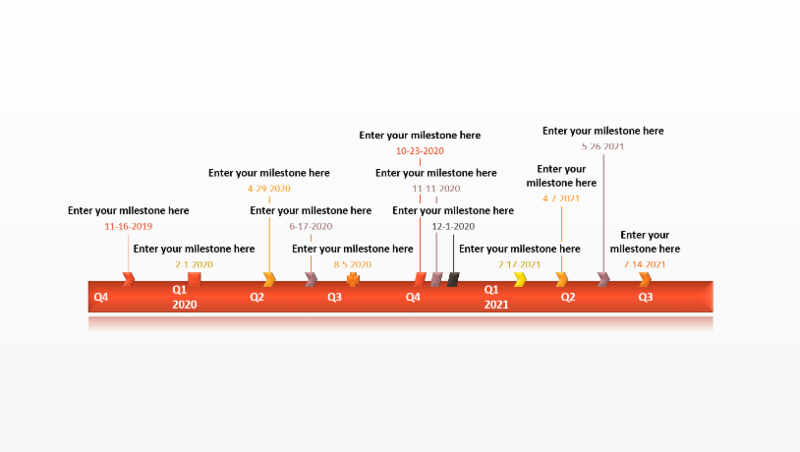 The lawyer timeline template was created for making an impactful opening statement in any litigation or defense cases. 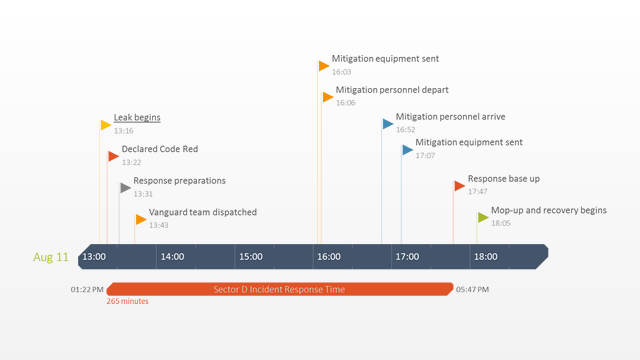 This template chronologically illustrates the events of a legal case and it shows the timing relationships between those events. It can be presented as a static reference visual to quickly illustrate a point or it can be printed and handed out for future reference. Litigators and defense lawyers need case timelines to communicate a sequence of their cases’ events and to relate those events to each other. The lawyer timeline template was made in PowerPoint so it will be simple to do this from a laptop at any mediators, or in any courtroom. 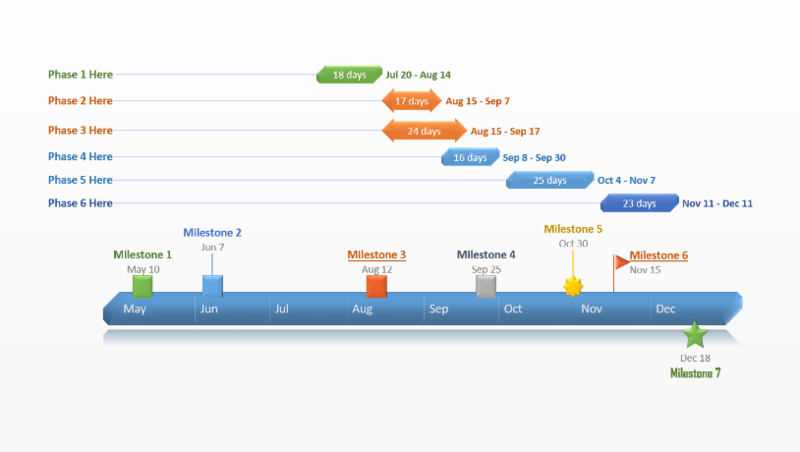 The template uses different colors and different shapes to create relationships and logic between events on the timeline. PowerPoint also provides lawyers with a wide set of formatting features and controls for further customizations that add impact to this template. 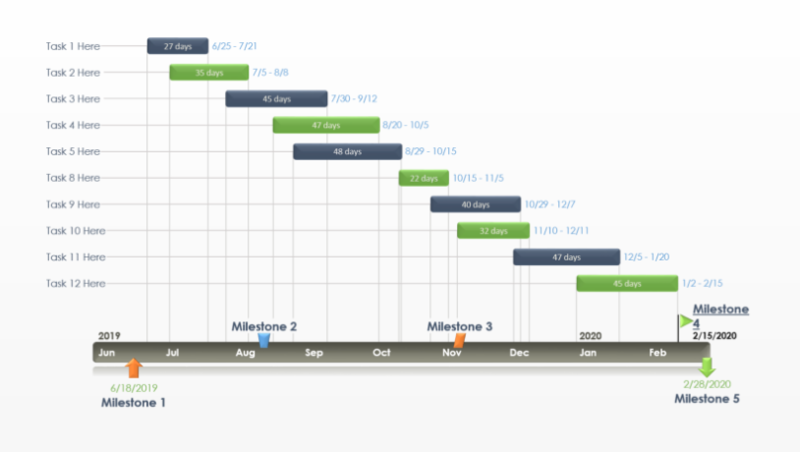 The case timeline template can be downloaded for free and edited manually, or it can be automatically updated and changed with the Office Timeline add-in for PowerPoint. Office Timeline is a legal timeline maker that plugs into PowerPoint to assist lawyers and legal teams chronologically arrange and organize relevant case events. The application makes timeline creation and presentation formatting simple, so lawyers and legal assistants no longer need to outsource this work. 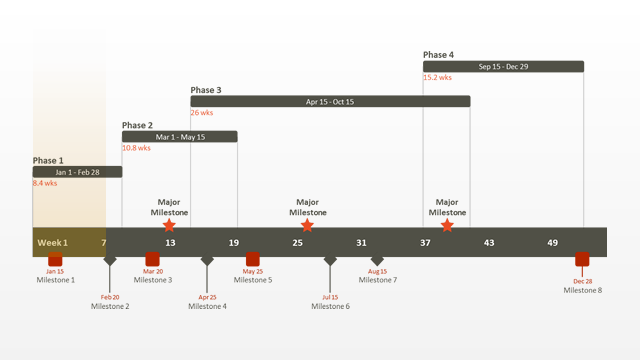 The timelines are familiar, easy-to-understand and can be used beyond opening arguments, for any other lawyering presentations which require impactful visuals. Effective opening statements should avoid complexity that will overload jurors with too much information. This template has been designed to be simple and easy for audiences to read, and has the capacity for more dates and events depending on how much detail you want to present. Once updated, you will have created an opening statement visual that will be easy for juries to step through. Since the lawyer template is built natively in PowerPoint it can be easily shared with your legal team or embedded on other Microsoft Office documents. It can also be reused or re-purposed by other lawyers on your team who need static timelines for their opening arguments.